Please send me more information on Hampton Lake at, Bluffton Thank you. 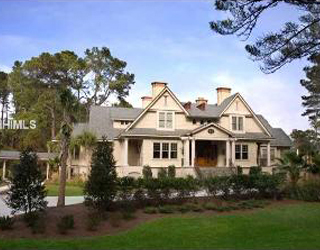 Anchored by a picturesque 165-acre freshwater lake, Hampton Lakes is a one-of-a-kind in the Lowcountry. The community is connected by seven miles of navigable waterways, 15 miles of shoreline, and 340 acres of surrounding nature preserve. With a focus on environmental sensitivity and green space, Hampton Lakes features an 500 acres of open space and nature-friendly surroundings. With approximately 900 woodland preserve and waterfront homes and home sites available to choose from there is an impressive collection of lifestyle choices including single family homes, villas, carriage homes, cottage homes, coach homes, and luxury level custom Idea Homes. There is an annual membership fee assessed. Hampton Lake features a 24-hour guard gate, and non-members must have a pass from residents to gain access to the community. Hampton Lake amenities include a spa and fitness center, resort style heated pools, tennis courts, 165 acre lake, 9 miles of nature trails, community boats, and kayaks. Additionally, this community offers an outpost campsite and a dog park. Although the community does not have a golf course on-site, Hampton Lake property owners do have the opportunity to purchase an equity golf membership at two nearby golf-oriented communities, Hampton Hall and Berkeley Hall. The community, which is built around the concept of connecting family and nature, features Lakeside, a unique amenity village which offers residents and their guests a full service boat house, spa and fitness center, resort style pools and beach, and Backwater Bills, a casual dining waterfront restaurant. Hampton Lake was conceived by the Reed Development team led by John Reed, who has a nearly thirty year history of developing private Bluffton communities such as Colleton River, Belfair, Berkley Hall and Hampton Hall. At the 2007 Best in American Living Awards The National Association of Homebuilders awarded Hampton Lake “Best Community Facility” and the property was then honored to be named Best Community Overall in 2008. How many active real estate properties are currently listed for sale in Hampton Lake , Bluffton? Currently there are 87 listed for sale. Are there any foreclosures currently for sale in Hampton Lake , Bluffton? No, currently there are no active listings in Hampton Lake with a foreclosure status. Are there any short sales currently for sale in Hampton Lake, Bluffton? No, currently there are no active listings in Hampton Lake with a short sales status. What is the price range and average price for residential homes in Hampton Lake ? The price range of the 55 listed homes for sale in Hampton Lake is between 400K and 1,349K. The average price is 630K. Click here to view all residential home listings in Hampton Lake. What is the price range and average price for residential condos and villas in Hampton Lake ? The price range of the 2 listed condos and villas for sale in Hampton Lake is between 549K and 559K. The average price is 554K. 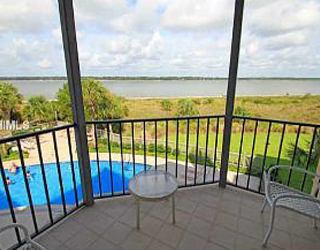 Click here to view all residential condos and villas listings in Hampton Lake. What is the price range and average price for residential land and lots in Hampton Lake ? The price range of the 30 listed land and lots for sale in Hampton Lake is between 45K and 274K. The average price is 187K. Click here to view all residential land and lots listings in Hampton Lake. What amenities a buyer should expect to find in Hampton Lake ? 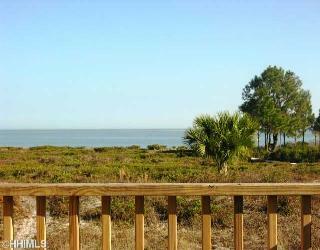 What kind of views a buyer should expect to find in Hampton Lake ? Bluffton’s unique 906-acre Hampton Lake community offers the first opportunity in the Hilton Head Island region for families to enjoy true lakeside living and amenities. Hampton Lake is located just off of the Bluffton Parkway in close proximity to Hilton Head Island, historic Beaufort and Savannah as well as area schools, churches, medical, shopping and dining choices.